I love writing about travel in Scotland. I have been fortunate enough to be able to work on some writing projects for various organisations. Take a look at examples of my work on this page. ​Venture North promotes tourism in Caithness & Sutherland. I wrote a piece for their blog about the magic of taking the train to remote request stops and then setting off on your bicycle. Edinburgh Spotlight is a website about what there is to see and do in Edinburgh. I wrote a feature about cycling in Edinburgh for the website. I was invited to speak about blogging at this conference in the Sutherland town of Dornoch, I was given an assignment to produce a blog about cycling in the local area. My blog about my favourite buildings in Scotland was featured on this online newspaper from Islay, an island located off the west coast of Scotland. 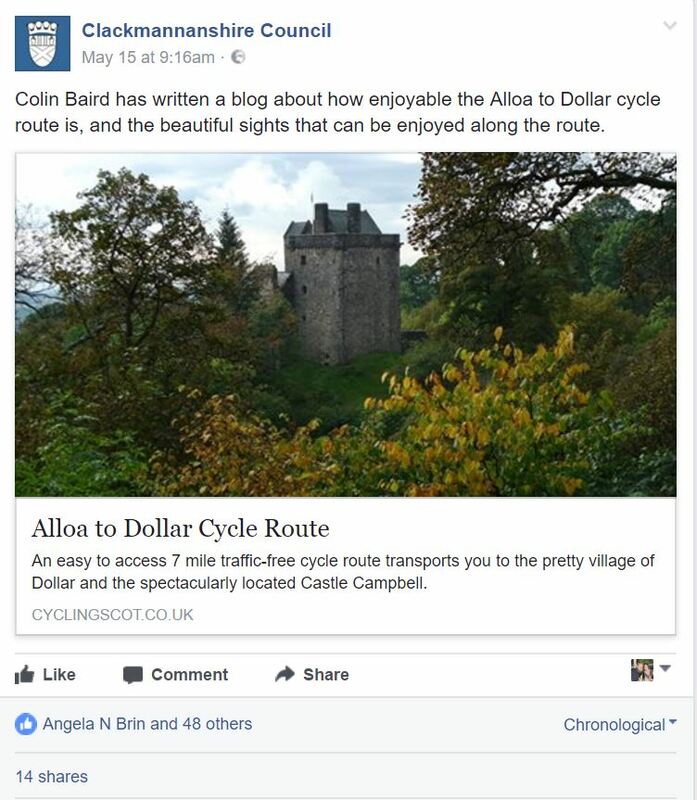 The Council promoted my blog on their Facebook page about travelling the Alloa to Dollar cycle path.